The Flying Eagles of Nigeria on Saturday surrendered the chance of hoisting Nigeria flag at the U-20 African Championship slated in Zambia 2017 next year against Sudan. Following a 2-1 fight back win away in Sudan with goals from Victor Osimhen and highly sort after talent Samuel Chukwueze, the flying Eagles went ahead to host at home in front of their home fans at the Teslim Balogun Stadium leaving Nigeria football with so many puzzles to answer in the days ahead. The flying Eagles were ousted 4-3 (6-6 on aggregate), but failed to march on due to away goal rule. As we ponder what might have halted the promising run of the Victorious Golden Eaglets set of 2015 with inspiration skipper Kelechi Nwakali we take a look at the critical lessons learnt from the Sudan ouster. The flying Eagles were a victim of their predicament as they have shoot themselves in the foot against Sudan. Following the 2-1 away win in Sudan and how hard they fought to win the game they should have approached the return fixture with caution but instead they were overwhelmed with the euphoria of victory when there was 90 minutes of football yet to be played. Such complacency and poor approach to the qualifying game have caused the flying Eagles a place at the African U-20 Championship in Zambia next year. Coach Emmanuel Amuneke was in so much confidence ahead of the game saying that “there is no hiding place for Sudan”. I guess we all know who are the one hiding their face (Nigeria) following Sudan defeat. The complacency showed by the flying Eagles team have in turn become a big damage and they are all paying the price as Nigeria is set to miss out on another tournament following recent AFCON failure and World Cup qualifying uncertainties. The Eagles failure against Sudan 4-3 in Lagos over the weekend is a massive set back to Nigerian football for many reason. The chance to feature in the African U-20 tournament have been blown away for another edition and the players will have themselves to blame for the exit against a Sudanese side who came to Nigeria to just keep their hopes alive, only to be given a leverage to qualify for the U-20 championship by the host Nigeria. 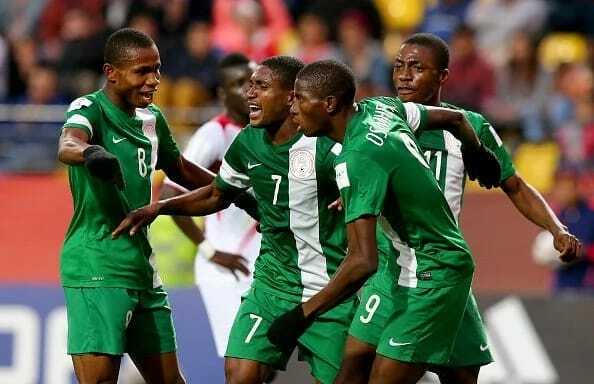 This absence in turn imply that the flying Eagles will miss out on qualifying for the World Cup later in the year 2017 as the African U-20 tournament serves as the qualifiers for the U-20 World Cup for Africa semi-finalist. Another generation of talented football players has been lost following the flying Eagles inability to get over their Sudanese counterpart. The likes of Kelechi Nwakali, John Lazarus, Samuel Chukwueze, Funsho Bamgboye and goal getter Victor Osimhen will miss the U-20 tournament and will deny themselves the chance to be under rare view of scout who scouts for talent during those Championships. The flying Eagles may struggle just as the 2012 Dream Team who failed to qualify for the Olympic Games in London despite the mercurial talent of Nnamdi Oduamadi, Nosa Igiebor, Odion Ighalo, Rabiu Ibrahim, Sone Aluko to name a few just like there was a gap between the Kenneth Omeruo’s U-17 set with Kelechi Iheanacho’s set following the ouster of 2011 U-17 team against Congo. This surely leaves this generation of players and their career in doubt leaving their agents with more to do to secure good moves for them in the future. 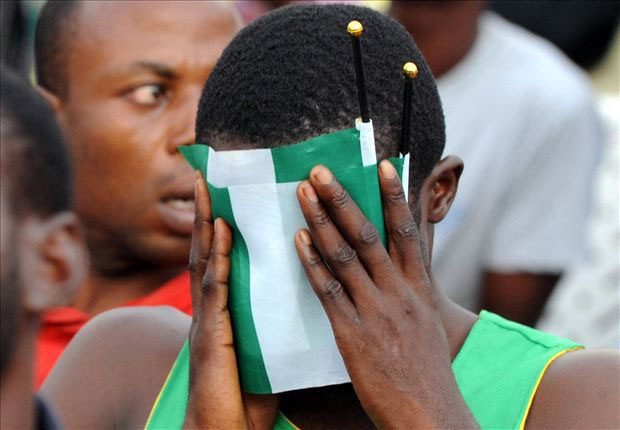 The flying Eagles of Nigeria have the hope of 170 million Nigerians at hand and with the 3-4 loss the Sudan, the hope of Nigerians are quashed for another two years. All said and done the youth teams are the bedrock of the Nigerian game following years of adversary and unimpressive performance from the Super Eagles as Nigerians have always looked forward to the junior team for excitement and hope knowing fully that the Super Eagles may disappoint but the Flying Eagles have joined the losing band wagon as they shocked Nigerians with a 3-4 loss against Sudan leaving Nigeria pedigree and reputation in the mud following their ouster over the weekend. Hope the Olympic Team make amends as the Flying Eagles have really fallen short of glory when it matters most.